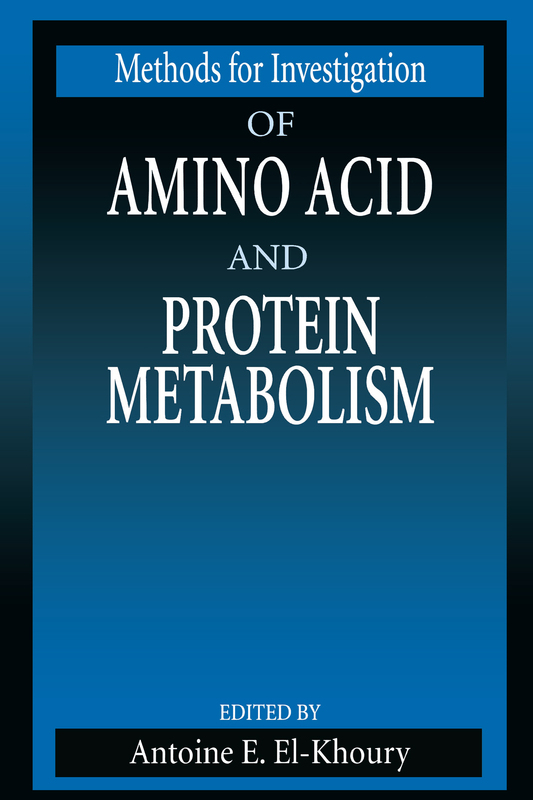 Containing all the new as well as classical methodologies used in the investigation of amino acid and protein metabolism in human and animal models, this book is needed because of the dramatic increase in research in this field. There is no other book currently on the market that covers these methods of investigation. Methods for Investigation of Amino Acid and Protein Metabolism explores areas such as amino acid transfer across tissue membranes, past and new applications using stable isotopes, protein synthesis in organs and tissues, and more. Because of the importance of research methods in the field of amino acid and protein nutrition and metabolism, this book facilitates the reader's integration of the concepts involved in these investigative research methods and their corollaries. In addition to helping any nutrition investigator design and conduct appropriate research protocols in this area of nutrition, this book assists students who are planning to investigate amino acid and protein metabolism in humans or laboratory animals.